Life here is normal and people busy in chores in villages under Lathiani panchayat of Una district on the banks of Gobind Sagar dam despite heavy rains and threats of rise in the water of dam. The Government of India is in a dilemma over scaling down the high alert sounded in the wake of the lake formed in Tibet due to blockage of Parchu, a tributary of the Sutlej, because of conflicting opinions of experts who have been analysing the satellite images regarding its depth. Three divers today plunged into the Beas at the spot of the accident, but their five-hour effort to fish out the bodies of the victims turned futile. Family members and relatives of Rajinder Vaidya, who boarded the ill-fated bus yesterday for Kulu from Mandi, spent a tense sleepless night as neither he reported at his office, nor his body was recovered. Has Himachal Pradesh University, Shimla, gone bankrupt? 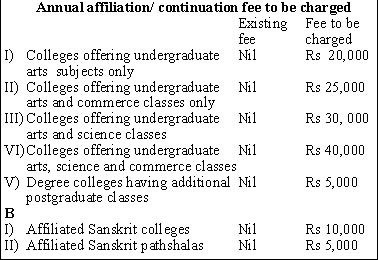 It has decided to charge affiliation fee from all colleges affiliated to the university. This fee will be charged every year from the government and the private colleges. Two persons were buried alive and another seriously wounded when a house collapsed at Kathetu village, under the Pluhin panchayat in Chamba district, following a heavy downpour yesterday. Taking action on residents’ complaints against the refusal of the Dharampur panchayat to renew ration cards, the Solan district Food, Civil Supplies and Consumers Affairs office has instructed the district Panchayat Office to order the panchayat to issue the cards to existing holders, subject to the verification of certain related records. The Himachal Road Transport Corporation has received an order for building 200 bus-bodies for the Uttaranchal Roadways. Mr G.S. Bali, Himachal Transport Minister, said yesterday. The Una police today arrested four persons in connection with the suspected murder of Mani Das, mahant of the “Kujjasir” temple, near the Baba Barbhagh Singh shrine in Mairi village, 42 km from here, in this district. The Himachal government has taken over the "Sankat Mochan Temple" which was hitherto managed by a local committee. The Himachal Pradesh High Court yesterday directed Himachal Chief Minister Virbhadra Singh to file a reply in 10 days on the issue of downsizing of his Council of Ministers in accordance with the new law. However, elderly people of the area are doubtful about their future following media and TV channels reports that water level will go up and the Bhakra dam will be completely filled. Tribune reporters from Hamirpur and Una visited the dam area adjoining Una district and found water level in the dam was rising slowly, but had not reached the last years level. Vidya Devi, a elder woman of Liyana village who was grazing cattle near the dam said people of the area were not afraid of rising water, as they were used to such things. However, media and TV reports that the Bhakra dam will be filled to capacity and water could enter their village has alarmed them. She said as her village was surrounded by the dam from three sides, threat of water rising into the dam scared them. Ms Kamlesh Kumari another woman of the area said though there was no immediate threat to the village but if water level rose, it would enter their village and cause harm. Village women said they were uprooted from villages and their main source of livehood was farming. Men of the family catch fish from the dam for living. They, however, were upset over sharp rise in dam water, as according to them it would hamper fishing from the dam. Mr Devinder Kumar, contractor of boats in the area, said there was no threat to the area from the rise of water. Rather if the water didn’t rise it would harm local people. Rajni Devi, a student of nearby village who visits Lathiani everyday for studies, said people in her village were not bothered about rise in the water of the dam. She said that it was a fun cross the dam daily two times. Her village is on the other side of Lathiani panchayat and only means of contact between both areas is through a boat. Mr Mohinder Singh, Uppradhan of the Lathiani panchayat said reports of threat to certain villages of his area from the water were unfounded. He said people were used to lead such a life, where in droughts and floods were common. He added that people heard threat of sharp rise in water of the dam from TV and media only and not from official agencies. Mr Rajneesh, Deputy Commissioner of Una said there was no threat to villages in the Una district adjacent Lathiani town. The district administration was in touch with the BBMB authorities and monitoring the situation. Over the past fortnight, various government agencies have obtained images from a host of satellites, including some private ones, to have an accurate estimation of the parameters of the lake. While the experts concurred about the length, width and the surface area of the water body, they differed widely regarding its depth, the most important parameter for working out the total quantity of accumulated water. On its basis, the experts can assess the impact of flash floods in the downstream areas in case of bursting of the dam formed by landslides. The Survey of India had worked out the depth to be 40 m by superimposing the satellite images on the old contour maps of Tibet available with it. However, some experts put the depth at a meagre 4 m to 5 m. There were others who assessed it between 20 m to 30 m. The Chinese authorities gave a different figure every time and as per the latest information, its depth was 70 m. The exact depth can be known only if a team of Indian experts inspects the lake site but the Chinese authorities are not allowing the visit. The government has now decided to send the images of private satellites to the Survey of India for a final opinion regarding the depth of the lake. A decision regarding scaling down of the alert will be taken after considering the report of the Survey of India, which will be available tomorrow evening. The latest satellite images indicate that there has been no change in the size or surface area of the lake and it had been overflowing steadily since August 12. By all indications, the water body was stabilising and the chances of a sudden breach of the blockade are receding every day, but the government wants to be reassured that the flood threat had declined before lowering its guard. The Tibetan Youth Congress (TYC) has urged the Government of India to raise the Parchu lake issue at appropriate world forums, failing which China would be emboldened to create more such problems for the country in future. A statement released by the local unit of the TYC alleged that the Chinese were not allowing the Indian team to inspect the water body because it feared that its nefarious activities, which had played havoc with the fragile environment of Tibet, would be exposed. The lake had been formed due to a landslip triggered by blasting carried out by the Chinese to construct road in the area. Nine bodies of the bus accident victims feared washed away in the strong current of the river remained untraced yesterday. Five persons died at the spot at Jogni Maud, about 25 km from here, while nine were injured seriously. Meanwhile, two patients, Daya Shankar of Ferozabad in Uttar Pradesh, who had suffered head injuries, and one unidentified 25-year-old man, who had sustained spine injuries, were shifted to the Indira Gandhi Medical College last night. The condition of the rest of the patients was reported to be stable, but serious. SDM, Sadar, Mandi, Mr. Arun Sharma, said the team would make another search operation to retrieve the bodies tomorrow. The university at its meeting held at Shimla on July 8, had decided to charge affiliation fee from all colleges of the state and, accordingly, letters were issued to all colleges. The university did not spare the government colleges also and sent them the same letter. As a result, resentment prevails among the staff and students of all government colleges in the state. All heads of government and private colleges have been directed to deposit fee by October 30 every year. Similarly, the fee will be Rs 75,000 for the BEd colleges, Rs 1,00,000 each for the dental, medical, Ayurveda and engineering colleges. It will be Rs 75,000 per annum for law colleges. Highly placed sources in the Education Department told The Tribune today that a tiff was on between the Department of Education and the Himachal Pradesh University authorities over the new order of the university. There are reports that the Director of Education has decided to take up this issue with the state government following large-scale representations from the principals of the government colleges in this regard. The university authorities are keeping mum on the issue. One of the senior officers of the university told The Tribune on phone that the decision was taken at the finance committee meeting of the university and it was a unanimous decision. This issue is likely to be raised by various students unions during their Students Central Association (SCA) elections as ultimately they will have to pay additionally for the purpose. Giving this information here today, Mr Rahul Anand, Deputy Commissioner, said the deceased had been identified as Som Dutt and Sanjeev, who were brothers, and the injured as Karan Singh. The bodies of the deceased had been handed over to their next of kin after autopsy. An immediate relief of Rs 5,000 each to the next kin of the deceased had been disbursed while Rs 2,000 had been provided to the injured, who was undergoing treatment. Shimla: A girl, Sumana Devi (13), slipped and was washed away in the Johad river, near Ramshahar, in Solan district on Tuesday, the police said here on Wednesday. Normal life in all parts of the district was paralysed due to constant heavy rain for the past 24 hours. Shimla and its surrounding areas recorded 8.9 mm rainfall till Wednesday morning and 38.8 mm till 2.30 pm, throwing normal life out of gear. Sundernagar in Mandi district recorded 51.0 mm and Bhuntar in Kulu district recorded 20.9 mm rainfall till Wednesday morning, according to the Met office here. Taking action on residents’ complaints against the refusal of the Dharampur panchayat to renew ration cards, the Solan district Food, Civil Supplies and Consumers Affairs office has instructed the district Panchayat Office to order the panchayat to issue the cards to existing holders, subject to the verification of certain related records. The matter was highlighted in these columns under the heading ‘Ration card issue hots up’ on July 5. The panchayat’s decision to renew ration cards for a five-year term only of those card holders who had record in the family register had come under criticism from residents, who were finding it difficult to renew their cards for want of record in the register. It was alleged that the panchayat had not maintained the family register properly. The panchayat had sought authentic verification proof from those who were not figuring in the panchayat record before to renew the cards. Confirming the development today, Mr Yadvinder Pal, District Controller, said all those who had been issued ration cards in the past would get their cards renewed. He said there was no move to increase bus fare The corporation will soon purchase 200 buses to replace old fleet, he added. He also authorised the corporation workshops at Jasur, Mandi and Tara Devi to allow passing of private vehicle to increase income. He also told the transport barriers for checking tax-evasion had collected Rs 4.50 crore in past four months. District police chief Ashok Sharma said a preliminary investigation had revealed that on August 14, the mahant had gone with the four accused on his tractor to drop his servant Pritam Singh, but did not return home. His body was recovered on August 16 night from a place near the Darshani Khud, while the tractor found abandoned at another place. Those arrested include Kaur Chand and his son, Naresh Kumar, of Mairi village, Naresh Singh (driver) of Chattar village in Nurpur tehsil of Kangra district and Balwant Singh of Mairi village. The district administration took over the management as soon as a notification to bring the temple under the Hindu Religious Shrines and Charitable Institutions Act was issued. The local unit of the Vishwa Hindu Parishad has condemned the decision and termed it as an attack on the religious freedom of Hindus. The order was passed by a Division Bench, comprising Chief Justice Vinod Kumar Gupta and Mr Justice M.R. Verma on the petition filed by the Citizen Rights Protection Forum alleging that, the provisions of the new law had been violated, as the Chief Minister had constituted 13-member Council of Minister including himself.